Our two self storage facilities offer secure units, affordable rates, and a friendly and dependable staff of storage experts. We’re always eager to help you solve your storage problem! We have 4 excellent New York locations to serve all your needs. 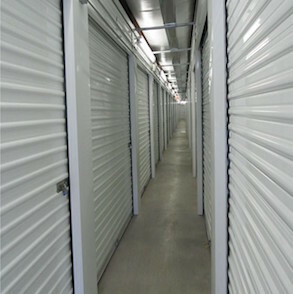 Our two facilities offer all the amenities you need for a successful storage experience. Our location at 1755 Fashion Outlet Blvd in Niagara Falls, NY is located just off I-190, offering residents and businesses an accessible, convenient storage location. Our Orchard Park, NY facility, which is located near the intersections of Hwy 20A and Hwy 219, is accessible to nearly anyone in the Orchard Park region. 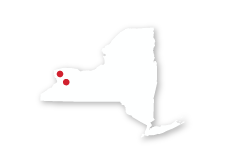 Wherever you live in western NY, you’re sure to find great storage options nearby at one of our facilities. Both of our facilities are committed to providing you with the most convenient storage options available. That’s why we offer 24 hour access to your unit at both Secure Storage in Niagara Falls and Quaker Self Storage in Orchard Park. After all, the things you put in your storage unit belong to you; you should be able to retrieve them whenever you choose. It’s just one of the ways we try to make your storage experience less stressful. When you rent a storage unit, sometimes it’s necessary to drop your things off into your unit and not return for a while, so it doesn’t make sense to us to require you to return to our facility each month just to pay your bill. We offer the convenience of online bill pay to make this easier for you. You can pay your bill at any time it’s convenient for you from anywhere you have internet access. It couldn’t be easier! © 2019 Secure Storage, partners and affiliates.